Buying a home can provide a plethora of positive benefits for you and your family. While many Texans have resigned themselves to the belief that a new home is far out of their price range, it’s important to know that options are available when you work with the right company. B&M Asset Group, LLC proudly serves as Amarillo’s new home construction team, providing complete customer satisfaction and exceptional value throughout the entire process. We build homes in phases, leveraging our purchasing power and building expertise to allow buyers to receive more for their money, including a range of customizations. Our customers have come to rely on the B&M difference for the best in quality. Today, we’ll conclude our discussion of this topic by highlighting four more reasons why you should purchase a new home in Amarillo. If you are interested in learning more, be sure to call our building contractors for assistance! Fire codes and regulations undergo frequent revisions, making it beneficial to purchase a new home over an older one for simple safety reasons. Older homes in Texas are beautiful and rich with history, yet are built using that do little to protect inhabitants in the event of a fire. Newly constructed homes are required to adhere to all modern regulations, and will feature a bevy of components to keep everyone safe. Fire-resistant building materials, proper smoke detectors, and other features all help to minimize the risks. Foundations can settle unexpectedly in our complex Texas soils, and new roofs have the potential to leak. New home builders will offer peace of mind through extensive warranty programs. These programs ensure that every element of your Amarillo home is built properly and set up to last for many years. Purchasing a new home can help to ensure you are protected from many different kinds of damages. Buyers who invest in an older property may not find any problems during the inspection, yet they may face major repairs just a few months down the road. 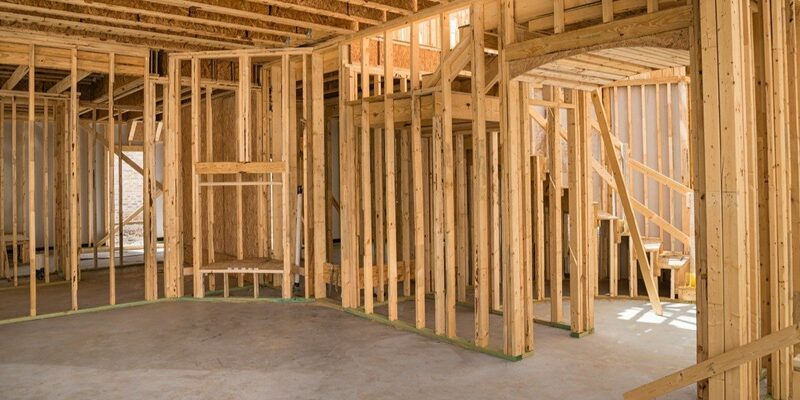 Our home construction pros have built more than 2,000 properties across the Amarillo area, and we’re happy to levy our 50 years of experience to build a new home for your family. One of the best reasons to purchase a new construction home is to work with your residential construction company throughout the design process to develop a personal space that perfectly fits your family’s needs and lifestyle. Instead of scouring the Texas Panhandle looking for a property that is “good enough,” we can help you find a location and build the home to suit your needs. B&M Asset Group, LLC is here to deliver the best results to each of our customers. Our high-volume purchasing power allows us to provide more quality at a lower price. All homes in our current phase, for example, include granite countertops, custom-made cabinets, stainless steel appliances, and more. Our contractors strive to create a personalized plan for you, complete with all of your favorite materials and styles to create a space you truly love. One of the most advantageous aspects of working with our new home construction company in Amarillo is the financing options that are available. Many buyers seek out guidance when they build a house, and when they work in partnership with a building contractor, the results can be spectacular. B&M Asset Group is here to provide home financing options to help you make the upgrade into one of our beautifully built properties. Purchase your dream home — Your home builders will likely be able to offer a range of incentives to purchase, including reduced closing costs, lowered interest rates, and more. Be sure to ask about these buying options, and discuss how to attain the best value for your purchase. You buy our home, we buy yours — B&M Asset Group will purchase your home to give you more power in finding the best property for your lifestyle and budget. We are proud to be the only homebuilders in the area with a trade-in option for buyers. Lease-to-purchase program — If you’re not yet ready to make the commitment to buying a new home, but you are sick of paying rent, our finance program offers the best results. You can elect to pay a credit fee and reduce your rates, or not pay a fee and get a monthly credit toward your purchase. Our home finance partners offer a lease-to-purchase program for those who want to put their money toward something cost-effective but are not ready to commit to a traditional mortgage. Our customers can lease with the option to purchase, with 12-month terms to lock in the most competitive rates for the area. All payments will be drafted automatically, saving you time. This process also improves your credit score. When it is time to purchase, B&M Asset Group will work with you to find financing so you can stay in your home. We want you to succeed at purchasing a home, and will work to ensure that you are satisfied with the outcome. Buying a new home can sound intimidating, but the truth is that doing so can provide you and your family with a lot of comfort and peace of mind. Ready to invest in your next step, investment, or retirement property? Contact us today to learn more!